Want to convert EPUB files into Portable PDF format in a feasible way? Get hold of none but ePUB eBooks to PDF file converter! The EPUB files can be exported into PDF file type in batch. 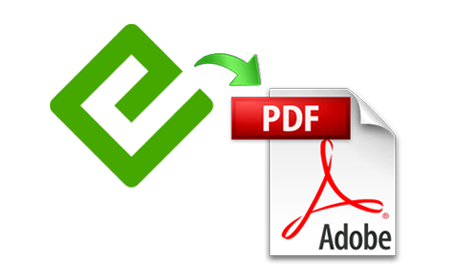 For this 'Add Folder' option is provided with the assistance of which multiple EPUB files stored within the folder can be added and exported as portable PDF file. The eBooks .epub files are of multiple types. Regardless of the type, a variety of EPUB files received from the World Wide Web or any other source can be changed over to PDF portable document without difficulty. Multimedia data be it text or images; are converted from EPUB files into PDF without compromise. Complete information is passed on into the PDF file without data loss or alterations in a speedy manner. The design and development of the converter tool has been done in a way that users can employ the conversion tool for exportation of EPUB files into PDF format without hassle. The interface is self-explanatory and easy. Individual's choice is permitted to save the converted PDF files. Any location can be chosen on the system to save the changed-over files, while the folder shall be named as name of the tool with both date and time of creation. No doubt, a new folder can obviously be formed as a storage location. Visit the official website and download the demo release of the converter utility, for checking and getting acquainted with the tool's functioning ability and achieving targets. However, the free version has a limitation that the output PDF files are embed with watermark. The order for licensed edition of the tool can be placed online in an extremely safe and secured manner with the credit card processor, RegNow & PayPal. With online purchase the tedious task of manually buying the licensed versions of the software application is avoided. The online purchase is speedy and therefore you need not worry about late delivery. The full version does not imply any kind of restriction as in demo. Is Windows 8 operating system supported? Yes, all Windows versions are supported. Is there any limitation on size of EPUB file that can be converted? No, there is no restriction on size of eBook EPUB file. Is Acrobat Reader required on the system? Yes, Adobe Reader needs to be installed before using the tool. Is batch EPUB to PDF conversion possible? Yes, batch conversion of eBook EPUB files into PDF format is possible. One of my friends suggested me to use the tool when I was in urgent need to convert my EPUB files into PDF format. At first I was in doubt, but after usage, I found it to be an amazing tool. From a while I was facing lot of issues reading the eBooks in EPUB file type due to change in its structure on different devices. Thereafter, I used the conversion application to export the .epub files in unchangeable but portable format. I found the tool worth the cost. PDF file is one of the most commonly preferred file types to store information as positioning of text and images remain unaltered irrespective of the device used to open it. This is why I bought the Converter and thereafter executed it successfully to achieve info in PDF file. It is a marvellous tool that can be utilized to export electronic books EPUB file into manageable .pdf file types. Really, the quick and apt conversion functionality of the application has made it my favorite.